This elegant south facing villa is located in La Zagaleta Country Club, Marbella. 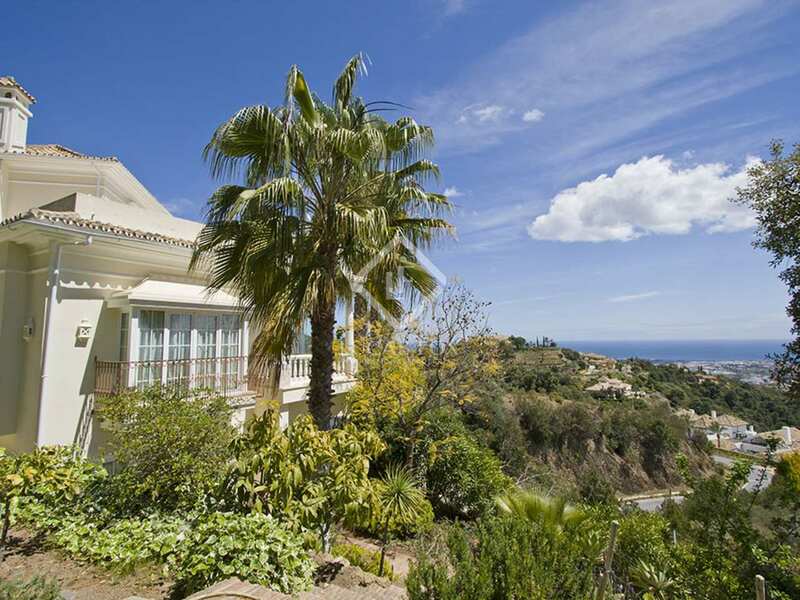 It is set in a private garden with a swimming pool and views of the coast, the North of Africa and Gibraltar. Inside it has very bright and large rooms and outside there are lovely terraces and porches to relax during the warm summer evenings. The property also features marble floors, underfloor heating, air conditioning, double glazing, a carport for three cars and an automatic irrigation system. The ground floor consists of a living room, a dining room, a kitchen, a storeroom, a guest WC, an office and two en-suite bedrooms. The first floor comprises the master en-suite bedroom, a utility room, a walk-in wardrobe and a terrace. In the semi basement there is a storeroom, a garage for two cars and a guest apartment with a dining room, a kitchenette, a living room, an en-suite bedroom and a terrace.